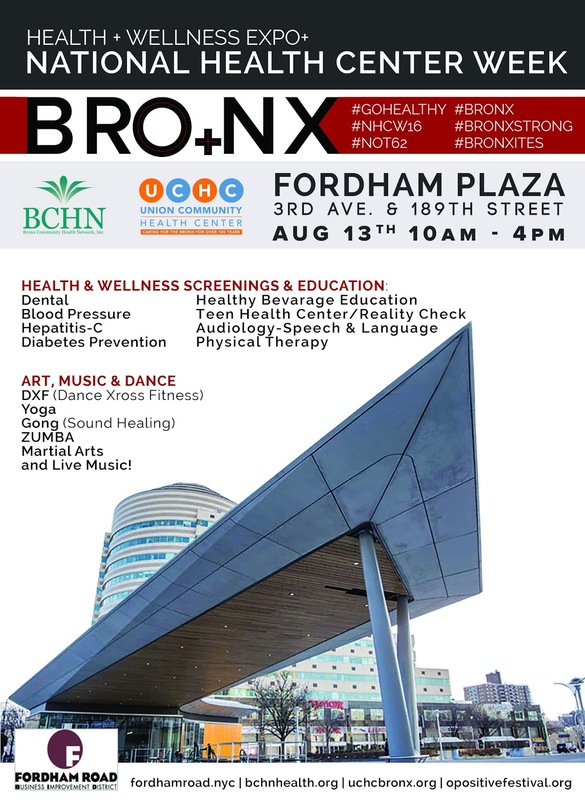 On August 13, from 10:00AM-4:00PM, in celebration of National Health Center Week, Bronx Community Health Network and Union Community Health Center, along with Fordham Road Business Improvement District, the NYC Department of Transportation and O Positive, will host a Health and Wellness Expo at Fordham Plaza in the Bronx, NY. All are welcome to join us for an innovative and unique celebration of health, wellness, art, music and dance. Come out and learn more about the health & wellness resources available to you right in your neighborhood!